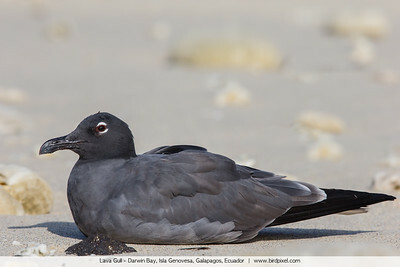 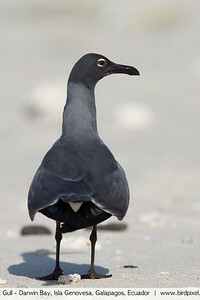 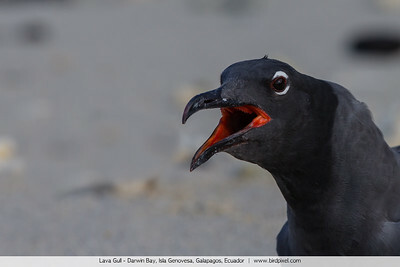 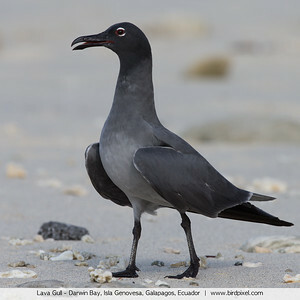 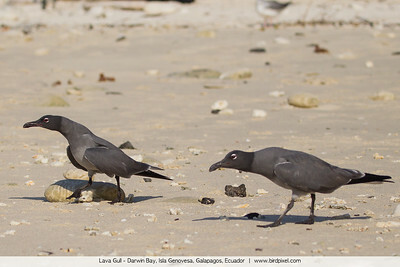 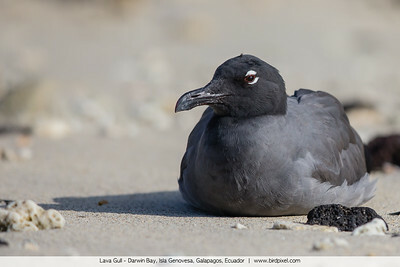 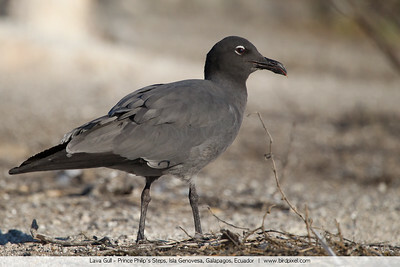 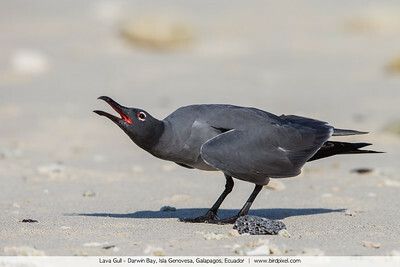 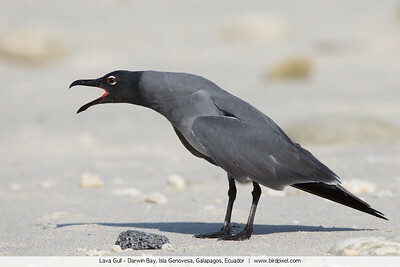 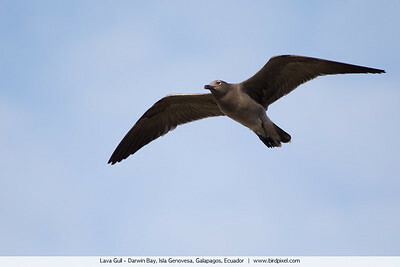 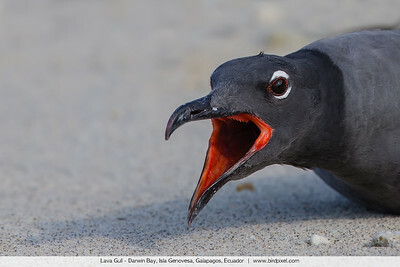 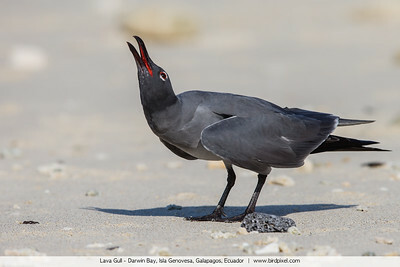 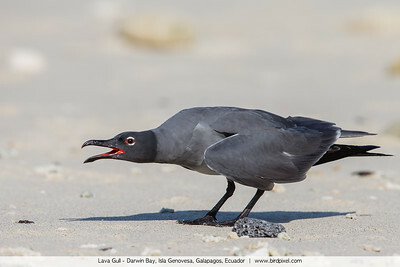 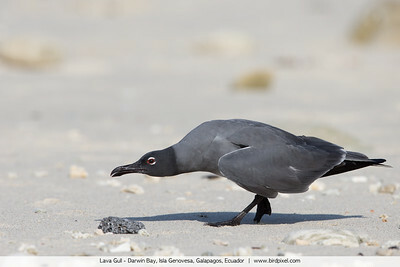 Lava Gull in courtship display - Darwin Bay, Isla Genovesa, Galapagos, Ecuador. 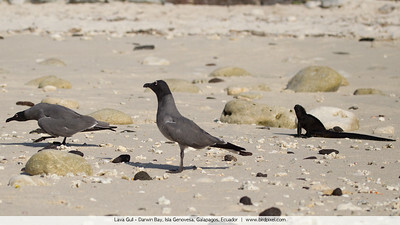 Also note the small marine Iguana close by. 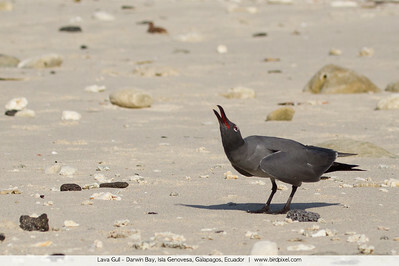 Lava Gull in courtship display - Darwin Bay, Isla Genovesa, Galapagos, Ecuador.